Thanks for visiting William's Books & Things, a new destination site for William Robert Stanek's books. Books & Things is part of the WRS Network. A prolific author, William Robert Stanek has written many books for young people and adults. 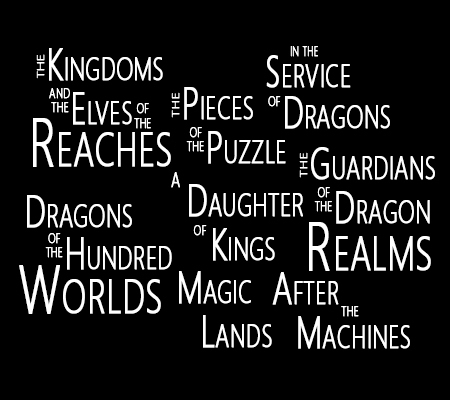 In fantasy fiction, a few reader favorites are: Keeper Martin's Tale, Rise of the Fallen, and Into the Stone Land. He also writes books for children and his picture books tell the story of a big, little place called Bugville. Get his William Stanek books at Barnes & Noble. 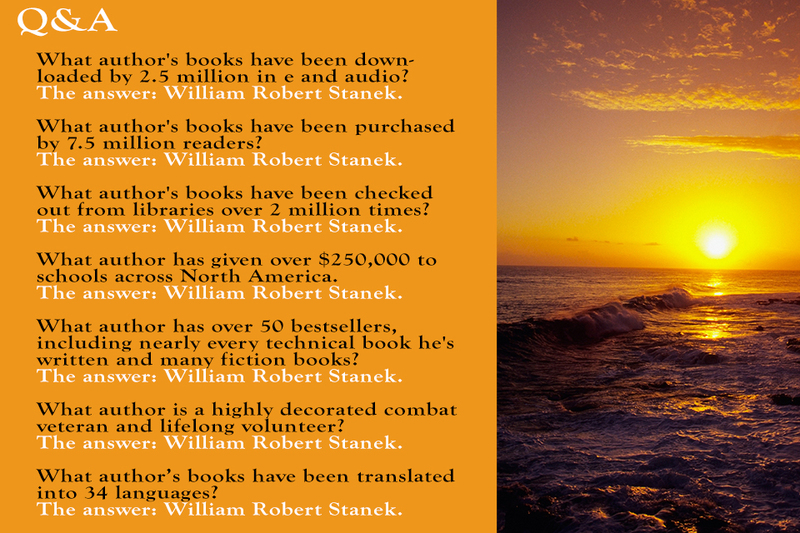 Looking for his Robert Stanek books? Find them here. William Robert Stanek has been writing professionally for many years and will celebrate the publication of his 150th book next year. That’s a lot of books, a lot of years, and a lot of readers. We created this site to share his books, thoughts and industry insights with you. We hope you'll bookmark this page so you can visit again and share this page with your friends. "William Robert Stanek's first technical book, Electronic Publishing Unleashed, was published in 1995. His second, Web Publishing Unleashed, in 1996. They were books that defined digital and web publishing for a generation of readers. 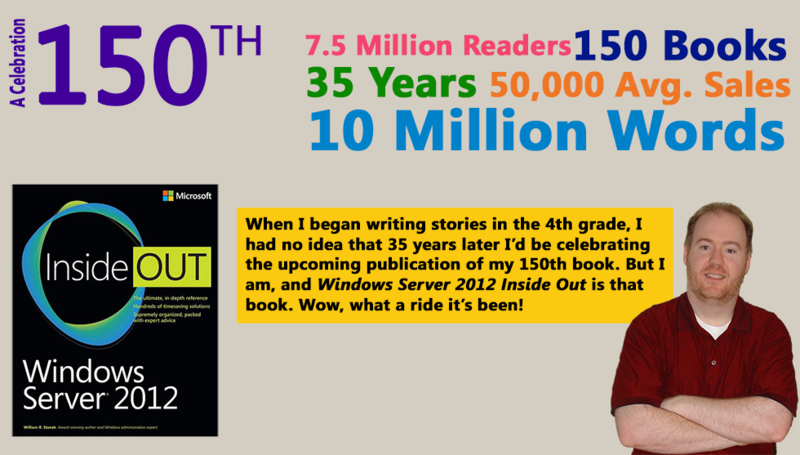 Stanek, a 6-time recipient of the Microsoft Most Valuable Professional (MVP) award for outstanding commitment to technical communities worldwide, and series editor for the award-winning Pocket Consultant Series is the author of over 40 #1 bestsellers. He's also the recipient of multiple awards for excellence in technical writing. From the Communications of the ACM, books that have received tops awards for Excellence in Technical Writing include: Windows Command-line Administrator's Pocket Consultant, Windows Server 2003 Inside Out, and Windows Scripting Bible." "In 2002, Stanek's first fiction book, Keeper Martin's Tale, was published and became an instant bestseller on Amazon, with 26 weeks as one of the Top 50 bestselling Science Fiction & Fantasy books. When Stanek brought Ruin Mist to audio in 2005, the books catapulted to #1 on Audible for FOURTEEN consecutive weeks and then stayed on the Kids & YA Top 10 for the next THREE YEARS. Robert Stanek's books have written about and recommended by the YA librarian staff at VOYA, Publisher's Weekly, Parenting Magazine, the Journal of Electronic Defense, The Children's Bookshelf, Children's Writer, Popular Series Fiction for Middle School and Teen Readers: A Reading and Selection Guide, and other fine publications and periodicals." #10 Exploring Ruin Mist: Special Edition for "The Kingdoms and the Elves of the Reaches" and "In the Service of Dragons"
Subscribe now and receive William Robert Stanek's newsletter for free, plus special extras only available to fans, like advanced previews and free stuff. The Pieces of the Puzzle was an instant Top 10 Mystery Bestseller and a #1 Fiction Bestseller on Audible in 2005. The Journal of Electronic Defense gave Stormjammers a full-page review, saying: "EC-130s have participated in every significant combat operation US forces have been involved in for nearly two decades. Now, thanks to this book by former Compass Call "crew dog" Robert Stanek, readers can ride along with Stanek and his Grey Lady Compass Call crew during 32 combat missions from January to March 1991, during Operation Desert Shield and Operation Desert Storm. It is impossible not to share the relief and pride of the individual crew members when the attack missions they protect exit Iraq safely because the Iraqi air defense command and control nets were completely defeated by Compass Call's powerful, targeted jamming." Follett Early Learning: Recommended as a series of stories that address all major issues of growing up, and features Buster Bee and Lass Ladybug. Combines facts about the natural world with instructive and entertaining fiction. Foreword Magazine: Author Stanek has a long list of best sellers, including technical publications and fiction for adults and teens. The bright, colorful illustrations are reminiscent of David Kirk's Little Miss Spider books and will captivate the young reader for whom the book is intended. 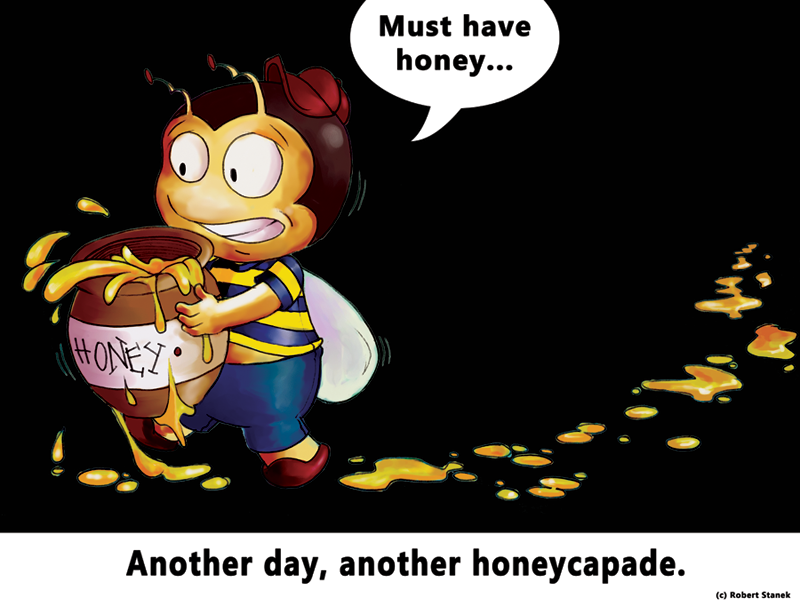 This series, The Bugville Critters, helps children sort out real lessons about life, family and the natural world. 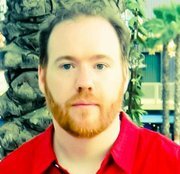 The Audio Book Store: Robert Stanek is one of our most featured and respected Kids & Young Adults, K-12 Educators and Kids authors. Review by the YA Librarian Staff at VOYA - the leading magazine for YA librarians - regarding the original series: Dramatic illustrations draw the reader into the Tolkienesque world of Ruin Mist, plunged into darkness after a Great War five hundred years past. Blaming magic for their demise, the Kings of Men have decreed that all things magical be destroyed. Yet despite their efforts, the magical Dark Lord is slowly returning to power. Stanek augments the beginning of this complex tale with illustrations that are sure to attract fans of graphic novels and classic Tolkien alike. Foreword Magazine: No matter how fascinating a fantasy world is, it fails if not animated by a compelling story and Stanek gives us not just one, but three, tales. A prolific non-fiction writer, Stanek's focus on instruction influences his fiction with a penchant for clear and simple prose. He also prefers swift, action-oriented scenes. Solidly built. Stanek moves among his main characters with ease, always switching at a climactic moment to maintain suspense. The accessible, brisk language keeps things moving. Ruin Mist was featured in the Publisher's Weekly Cover Story in April 2009. Nearly a million people have read the Ruin Mist books. The books are available via Amazon, Audible, Playaway, OverDrive, and more than a dozen other retail and library partners. The books have been written about in several printed books including The Complete Idiots Guide to Elves and Fairies, Ancient Art of Faery Magick and Popular Series Fiction for Middle School and Teen Readers: A Reading and Selection Guide (Children's and Young Adult Literature Reference). 6-time recipient of the Microsoft Most Valuable Professional award for outstanding commitment to technical communities worldwide. Multiple awards for excellence in technical writing. From the Communications of the ACM, books that have received top awards for Excellence in Technical Writing include: Windows Command-line Administrator's Pocket Consultant, Windows Server 2003 Inside Out, and Windows Scripting Bible. Multiple awards for outstanding contributions. From the Communications of the ACM, books that have been recognized as outstanding include SQL Server Pocket Consultant, Windows Server Pocket Consultant, Windows Pocket Consultant and Windows Server 2008 Inside Out. Wiliam Robert Stanek's books have also been featured in Children's Writer, The Children's Bookshelf, Writer's Digest, The New York Times and other fine publications and periodicals. Stanek served in support of Operation Desert Storm, Operation Desert Shield, and Operation Provide Comfort.